Over the past four decades computational methods in applied mechanics have developed into valuable tools that are widely used across both industry and academia. The applications are numerous: aerospace structures, civil engineering structures, geotechnics, flow problems, automotive industry, geo-environmental modelling, biomechanics, electromagnetism, metal forming, to name but a few. This three volume set provides the most comprehensive and up-to-date collection of knowledge about this increasingly important area of engineering science. The Encyclopedia provides a well-rounded and practical knowledge base that will serve as a foundation for the reader's research and practice in developing designs and in understanding, assessing and managing numerical analysis systems. Containing over 70 in-depth and thoroughly cross referenced articles on key topics from internationally renowned researchers, the Encyclopedia of Computational Mechanics will cover three key areas.Volume One: Fundamentals will cover the basic concepts behind discretization, interpolation, error estimation, solvers, computer algebra and geometric modelling.Volume Two: Solids and Volume Three: Fluids will build on this foundation with extensive, in-depth coverage of industrial applications. The main readership for this book will be researchers, research students (PhD. D. and postgraduate) and professional engineers in industrial and governmental laboratories. Academic interest will stem from civil, mechanical, geomechanical, biomedical, aerospace and chemical engineering departments, through to the fields of applied mathematics, computer science and physics. About Erwin Stein (Editor) : Erwin Stein is a published editor. 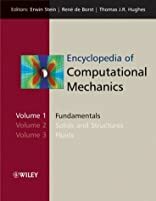 A published credit of Erwin Stein is Encyclopedia of Computational Mechanics. About Prof.dr.ir René De Borst (Editor) : Prof.dr.ir René De Borst is a published editor. Published credits of Prof.dr.ir René De Borst include Encyclopedia of Computational Mechanics (3 Volume Set). About Ren? De Borst (Editor) : Ren? De Borst is a published editor. Published credits of Ren? De Borst include Encyclopedia of Computational Mechanics. About Thomas J.R. Hughes (Editor) : Thomas J.R. Hughes is a published editor. 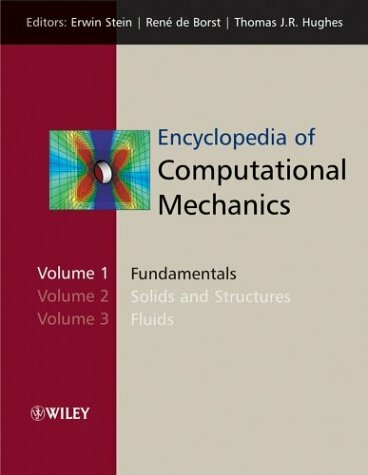 A published credit of Thomas J.R. Hughes is Encyclopedia of Computational Mechanics.